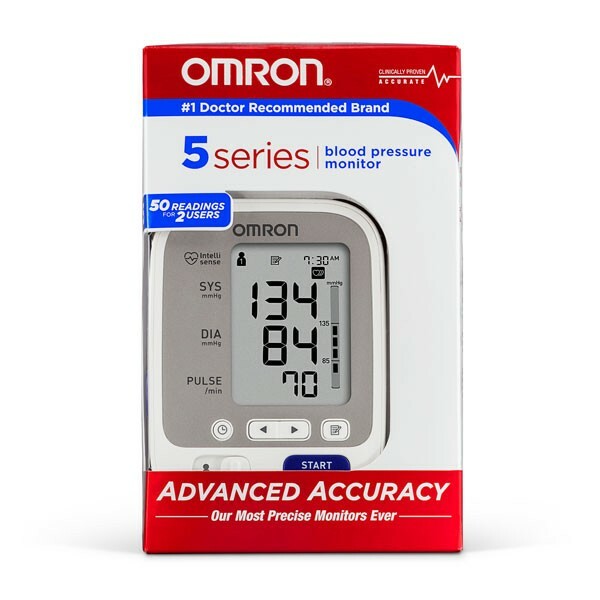 The 5 Series® home blood pressure monitor (BP742N) with Omron’s Advanced Accuracy helps ensure consistent, precise readings. This model is quick and easy and has a few more features than the 3 Series home blood pressure monitor, like dual settings for two users, memory storage space for up to 100 readings (50 readings for each user) and a wide range D-Ring cuff that fits standard and large arms 9 to 17 inches in circumference. The 5 Series also features Advanced Accuracy that automatically displays the average of the last 3 readings taken within 10 minutes. 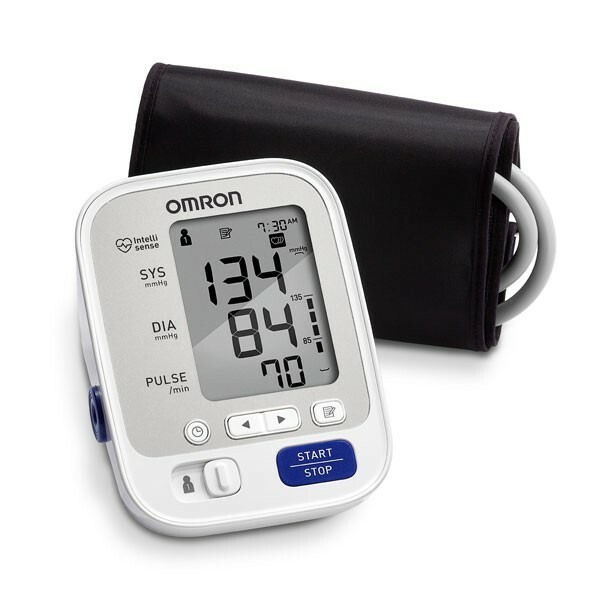 The Omron 5 Series will also let you know how your reading compare with internationally recognized guidelines for normal blood pressure with the BP Level Bar. When you trust your heart health to Omron, you’ll be empowered by accuracy.